Soundbwoy Killah - Burning / Moving On. Vinyl 12. Bleep. Prodigious enigma that he is, Soundbwoy Killah hasn’t been in the business of old school house for long, but the stuff of this double A-side has already made him hotly-tipped for the future of club music. 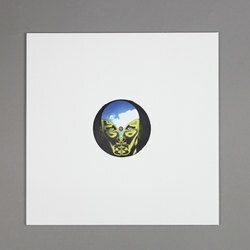 The first grade belter ‘Burning’ quickly became a highlight of Mall Grab’s Boiler Room set, its samples pinging off the walls and through your skull, while B-side ‘Moving On’ takes its sonic blueprint and pumps up the big room reverb.